This weekend we were able to celebrate Hailey's 8th birthday! We had family, fun, and LOTS of surprises!! One being that for Hailey's Inside Out birthday party, Joy and Sadness came to party with us!! We had the party at a bowling alley and every time we helped Hailey roll the bowling ball she'd tell Joy that she, "did it!!" 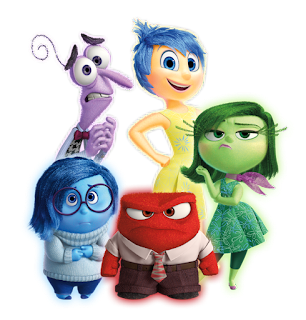 and Joy celebrated right along with her with such enthusiasm or JOY!! It was adorable! 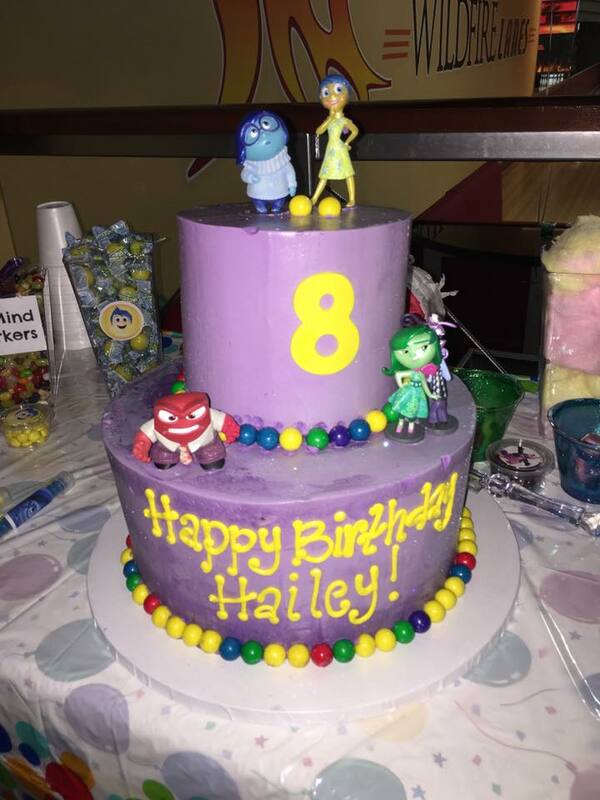 Thank you to Neverland Parties Las Vegas for showing up for Hailey! She loved it! 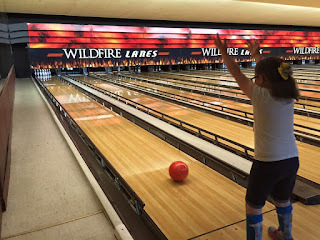 Bowling isn't the easiest task for Hailey but she very much enjoyed the experience. We were also so lucky that her physical therapist was there to help us with the best way for Hailey to bowl safely. We'd help carry her 6 pound bowling ball to the line and she's roll it as hard as she could. 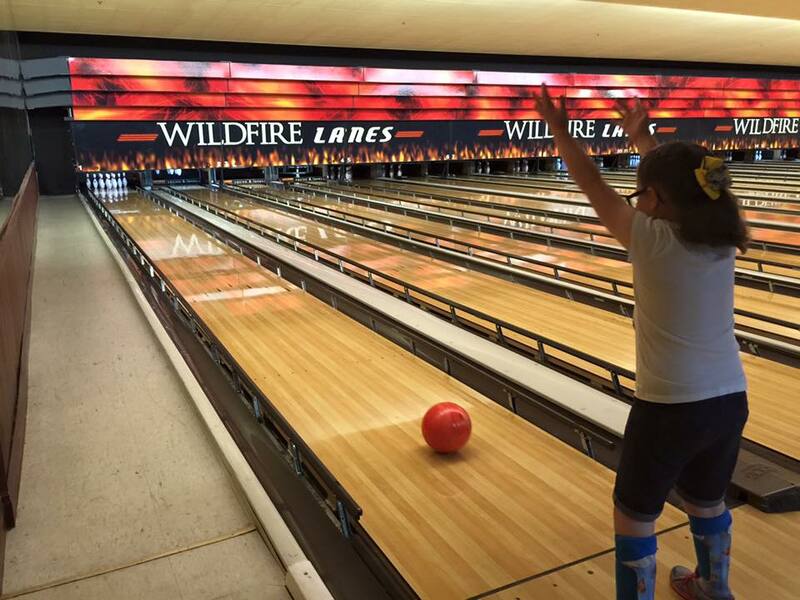 The excitement that ensued when she hit any pins was contagious! For our table scape I had a lot of fun putting it together but it was difficult! There were no Inside Out plates, napkins, party hats, or favors to be found at the party store!! We did find napkins and plates on Amazon. The rest of the things were put together through some DIY hard work, and help from Pinterest! It turned out SO great though! We have to thank Icing Smiles for another great birthday cake!! 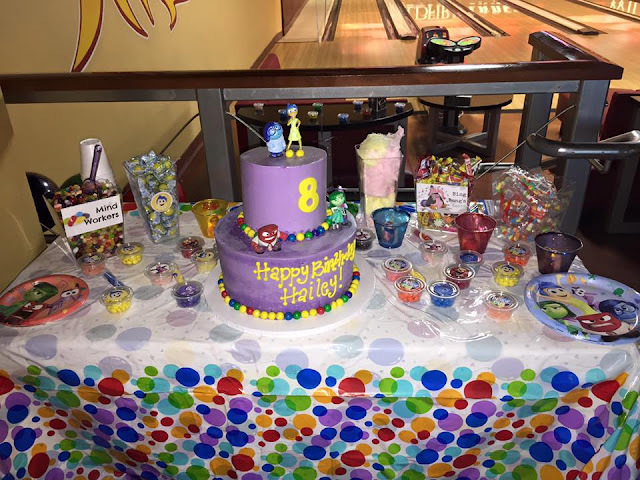 Thank you to our baker at Sugar Bees Bakery for doing such an amazing job on the cake!! Everyone complimented us on the cake! It was really so great and it tasted so yummy! All the kids were just in awe of it! It turned out better then I imagined! So this year we celebrated Hailey's 8th Birthday with Inside Out and we had a ton of fun. Thank you to all that showed up, that traveled from out of town, and that took time to wish Hailey a happy day! Thank you to those that sent Hailey a gift from her Amazon wish list and thank you to all who have bought shirts from our Booster Sale! We appreciate it all so much! !